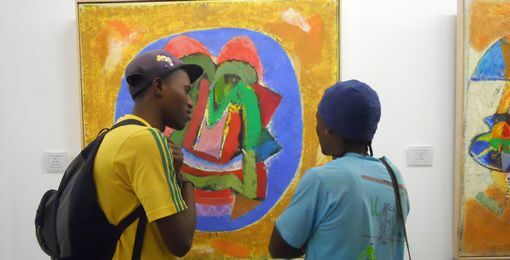 The Imbali Visual Literacy Project was created as a project of Women For Peace in 1988, when it became clear from the results of a children’s national art competition that children who had little or no access to art at school showed extremely poor perceptual skills. 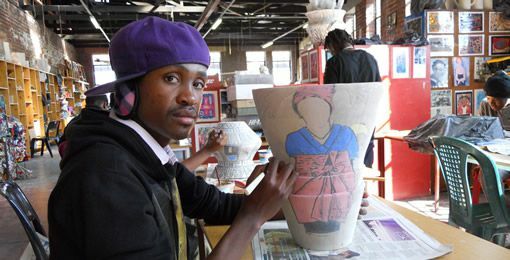 The project attempted to address this inequality in basic visual literacy, by developing strategies for training teachers with no arts background in poorly resourced schools, enabling them to teach art and creative education in such contexts. 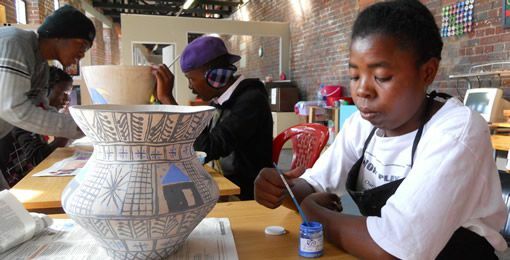 This work still continues because although arts and culture is now an official learning area in the school curriculum very few teachers have any formal training in this area. 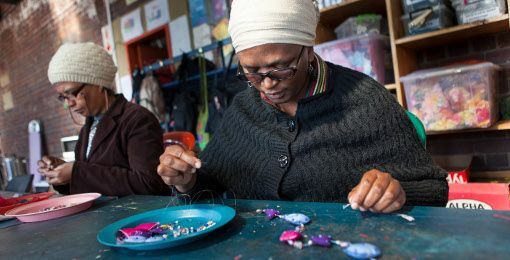 However, in the past ten years, Imbali has in addition responded directly to another issue in the country – the urgent need to confront poverty. 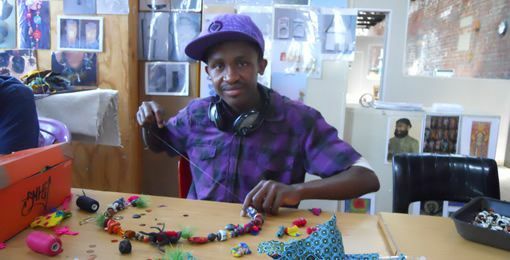 Imbali has therefore developed its mission and extended its scope of activity towards creative skills-development and training, in specific income-generating activities such as craft and design. 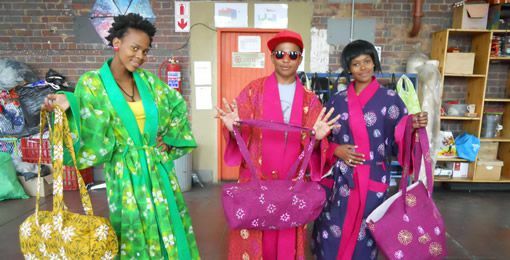 Imbali was commissioned by the NUMSA Research & Development Institute to make 200 laptop bags. The Institute was delighted with the finished products and our students earned a good income from the project. 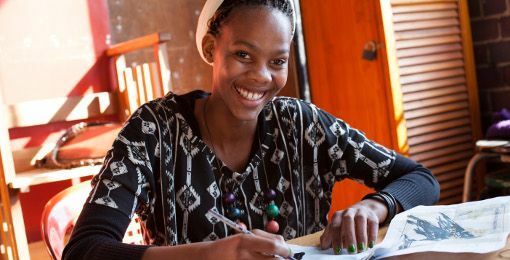 Imbali was selected by Masana Petroleum Solutions to benefit from their CSI initiative, which focuses on education and youth. 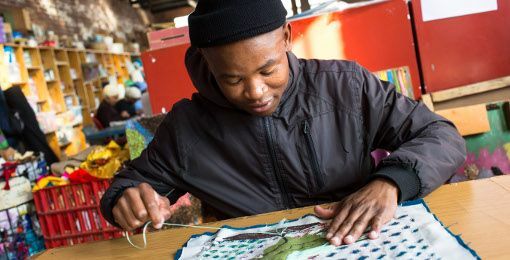 The project involved a substantial upgrade to the equipment and facilities at the Imbali studio, which included sewing machines, work tables, furniture, a wet area for dyeing fabric and computers for the students’ use. 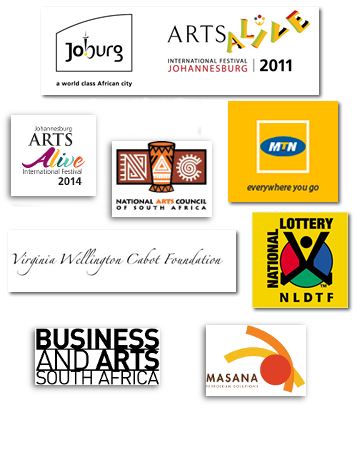 We would like to thank all our current and past funders as well as our board who work tirelessly to ensure the ongoing success of the project.